Our studio offers comprehensive lessons that include music theory, performance opportunities, use of modern technology, parent involvement, and relationships with positive role models. Private lessons let students experience significant, one-on-one instruction from our affable, professional teachers. Group lessons raise the level of self-esteem through team building activities and impromptu performances. The group setting opens the students’ perspective a bit further when exposed to the opinions and ideas of others. Students grow confident and enjoy learning music everyone can relate to. 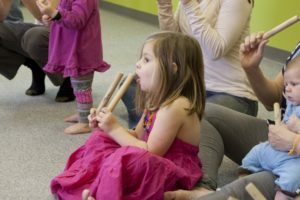 We also offer Musikgarten courses for the very young and Recreational Music Makingcourses for kids (8+) and adults. At Music Dynamics, our instructors are dedicated music professionals. All of our teachers have completed college-level courses in music, perform professionally and belong to professional organizations. When you invest your time and talent with us, you can be confident that you are receiving expert instruction from teachers who have studied the art of teaching music lessons. Enjoy learning how to play your musical instrument at our professional facility where we have roomy studios for group and private lessons and our own recital room for seasonal events. All rooms are equipped with either traditional acoustic instruments or technologically advanced instruments. Our front waiting area is an inviting, comfortable place for parents to talk, relax, or quietly do work. There are books, magazines, toys, games, and free Wi-Fi available to all in the waiting area. We serve a range of communities including Pewaukee, Hartland, Hartford, Richfield, and Merton at our Sussex location, conveniently located near shopping and fast food venues. 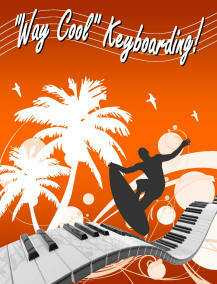 Our students are wild about our Digital Pianos. The two thirds of piano students who usually quit during their first year of study aren’t leaving our studio. Why? Our students taking piano/keyboard lessons love learning to play our Digital Pianos, and here’s why: digital pianos make learning fun! With a variety of background beats and sound options, the technology makes music more relevant in their lives. Percussion features on the piano help students understand rhythms, and develop a deeper understanding of meter and a strong inner pulse. The result? Students learn faster and retain more than they would through traditional study. Let us know when your child can join the group! ~ Engaging, social, and fun atmosphere!